Rage Against the Machine’s Tom Morello took to Instagram to defend Fidel Castro after the Cuban leader died on Friday. “While I don’t agree with all that Fidel Castro did there is ample reason why he is vilified in the US and yet remains a huge hero throughout the Third World,” Morello wrote. 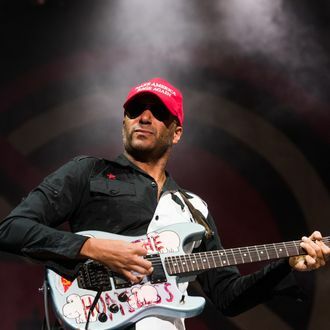 Morello played a massive free concert in Havana in 2005 with Audioslave, an experience the guitarist says he “treasured.” Read the full post below.